The Analog In Bricklet 2.0 is discontinued and is no longer sold. The Analog In Bricklet 3.0 is the recommended replacement. 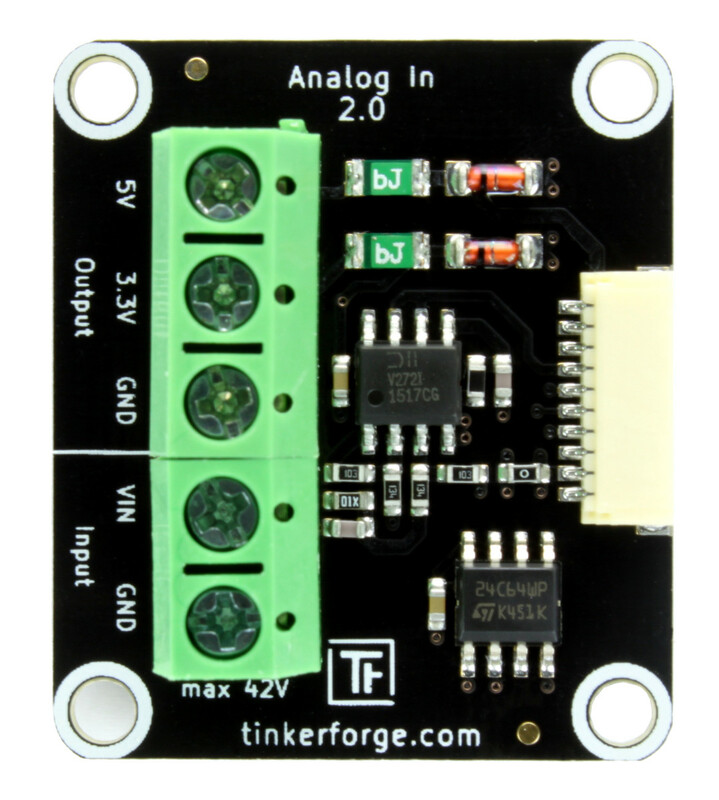 The Analog In Bricklet 2.0 can be used to extend the features of Bricks by the capability to measure voltages. It is the successor of the Analog In Bricklet. The voltage can be read out in Volt directly without conversions necessary. The Analog In Bricklet 2.0 has five terminals. 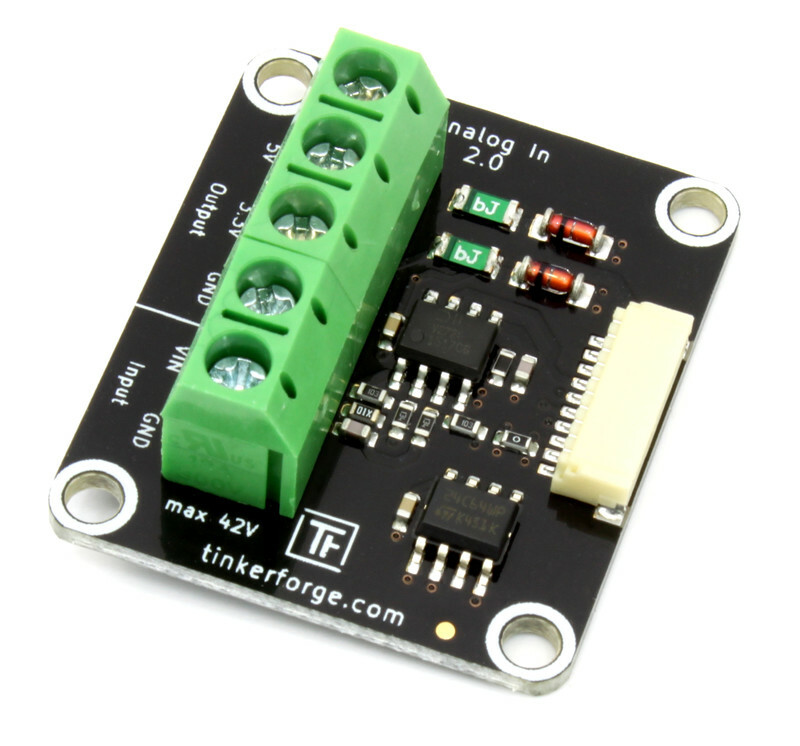 With these terminals you can access the following output signals: 5V, 3.3V as well as GND. The voltage you want to measure can be applied between the VIN and the GND terminal. To test a Analog In Bricklet 2.0 you need to have Brick Daemon and Brick Viewer installed. Brick Daemon acts as a proxy between the USB interface of the Bricks and the API bindings. Brick Viewer connects to Brick Daemon. 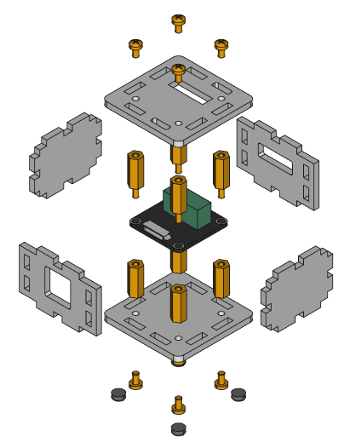 It helps to figure out basic information about the connected Bricks and Bricklets and allows to test them. 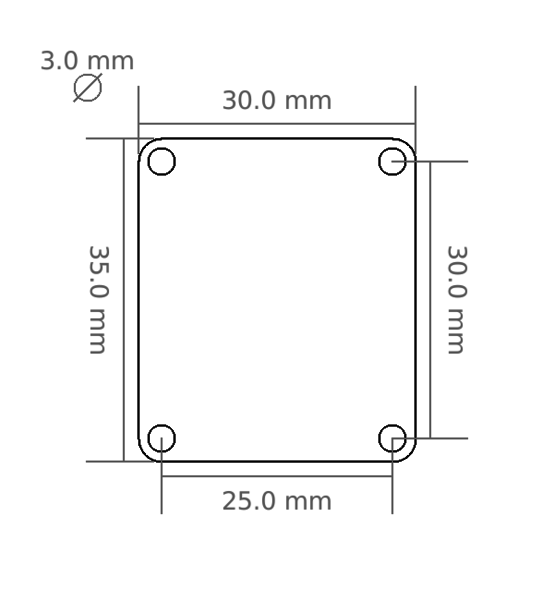 Connect the Analog In Bricklet 2.0 to a Brick with a Bricklet Cable. 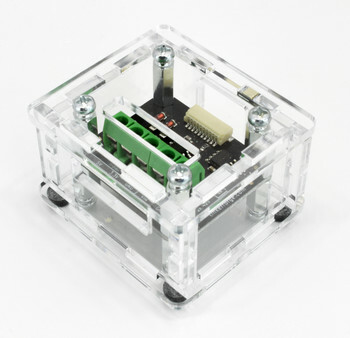 Additionally connect a DC voltage you want to measure to the Bricklet. 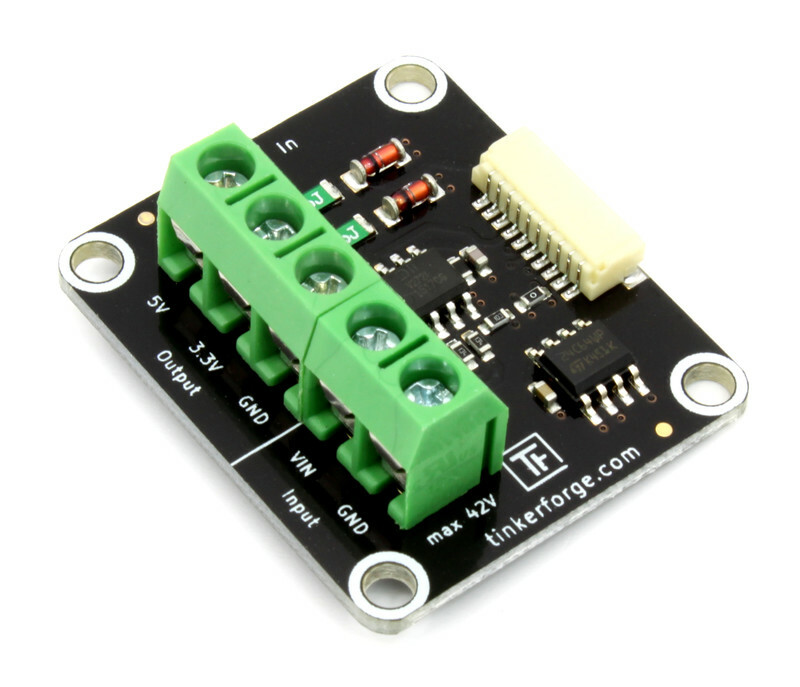 For testing purposes connect the 5V or 3.3V output terminal to the VIN terminal. The GND terminals are already connected internally. If you connect the Brick to the PC over USB, you should see a new tab named "Analog In Bricklet 2.0" in the Brick Viewer after a moment. Select this tab. 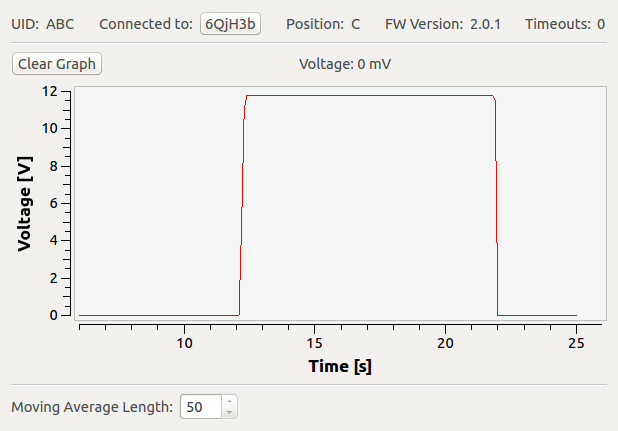 If everything went as expected you can now see the voltage in Volt and a graph that shows the voltage over time. After this test you can go on with writing your own application. 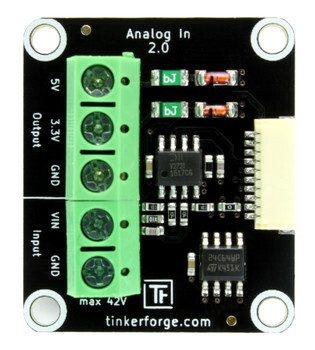 See the Programming Interface section for the API of the Analog In Bricklet 2.0 and examples in different programming languages. A laser-cut case for the Analog In Bricklet 2.0 is available.